The conjoining of such two dissimilar things, like vampires and musical, seems to make people respond pretty vehemently, in opposition, when they hear of the reality of the legacy of the Lestat musical. 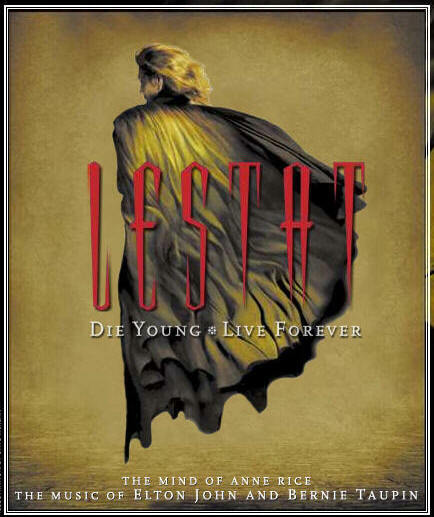 Regardless of your opinion of it (and your opinion always has merit, when responding to something subject to perceptual differences like a musical), the Lestat Musical does have immortality, as many clips can be found on Youtube. I wish that the soundtrack were released some day, as a memento of a musical that I felt was misunderstood. Maybe in a culture where vampires have been allowed a bit more artistic liberality in terms of how they are constructed on screen and on the pages of recent contemporary fiction works, people may be more accepting of a revival of this musical. **To help showcase some of the more memorable tracks of the ill-fated Lestat musical, I will be showcasing roughly-edited/filmed clips, stored on Youtube, to give all Lestat fans a special opportunity to reflect upon the Lestat musical. For today’s special Lestat Musical Clip, I have a clip, featuring yet another strongly-sung, emotive Hugh Panaro song (the perfect theatrical embodiment of Lestat), singing the song from the musical called “Sail Me away, which perfectly conveys Lestat’s emotions, while internally dealing with the betrayal of Claudia while embarking on a boat back to his homeland of France (greatly altered by various civil wars and rebellions). The fact that this musical tried to comprehensively detail all the various complicated emotions, going through Lestat’s mind, throughout Anne Rice’s story, is one reason that the musical definitely deserves closer examination. **Also, below is a Youtube interview with both Anne and Bernie Taupin,one of the writers, behind this short-lived, though memorable musical (at least to my eyes). 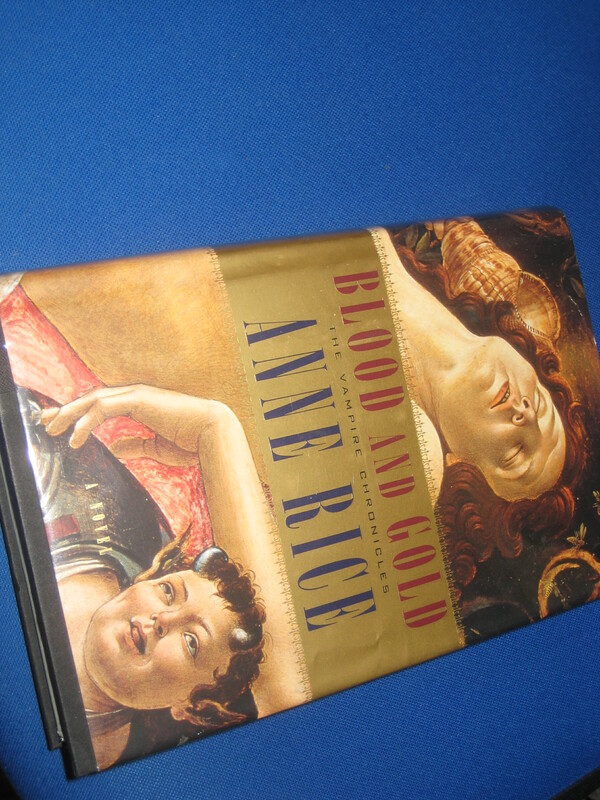 This should help better contextualize the talents behind this, and how supportive Anne Rice was of this musical (Tomorrow, I will post a link to a longer, more in-depth article, from her website that perfectly describes her praise for the musical). Event Details- October 28th, 2014; 2pm. Live Reading at St. John the Divine Church; and 4:30pm. “Coven of the Articulate Dinner” at a New Orleans style restaurant (soon-to-be- announced)! The date is finalized, but the time is still not, as of yet, finalized, and the exact events are not yet clear either. So, this space is merely used to gauge interest in this event. It will most likely be comprised of a live-reading of “Memnoch the Devil,” by either Anne Rice herself (low probability), as she is very busy preparing for her signing. It will most likely be myself reading it, or someone else entirely. I would prefer someone else reading it, who has the right type of reading voice. The event will start at 2pm., giving people enough time to leave around 3pm. to head over to 192 Bookstore in New York City. For those who don’t mind where they are in line for the event, there will be a special dinner at 4:30pm. at a New Orleans style restaurant in the Manhattan area. If you have any recommendations, as to the best place for such food, please leave your recommendations here! I need a final count of people that would be able to attend the Prince Lestat Cajun Dinner, by next week on Wednesday, and I will call the chosen restaurant to make the proper reservations then. If anyone has good filming device of some kind (an iphone), you may be in charge of filming the St. John the Divine event, if we are given permission to do that! I have a low-tech camera, which I really don’t want to use, as the quality itself is terrible.